Music is a huge part of our worship and our culture at First Pres. It shows up in everything from the hymn selections on Sundays to our mission trips and beyond. If you love what music brings to your life—and to your relationship with God—I’d like to personally invite you to experience our one-of-a-kind music program. During Sunday worship, The Sanctuary Choir not only leads the congregation in hymns and responsorial music, but also performs an anthem and an offertory piece. The chorus is made up of professional performers and those who simply love to sing. While we’re a volunteer choir, we take our role in worship seriously—and we strive to move people closer to God with each performance. The Children’s Choir nurtures our kids’ joy of singing — and helps them learn the importance of teamwork, focus and discipline along the way. Ralph Stannard started the Sanctuary Music Series as a way to share our musical gifts—and the message that inspires them—with our friends and neighbors in the community. His programs are spiritually fulfilling, technically challenging and artistically inspiring. The music series features The Sanctuary Choir in partnership with professional performers like the Dallas Chamber Orchestra and a number of soloists. Subscribe to weekly ePress emails for updates on concerts and other music programs at First Presbyterian. Through the generous support and gifts of many members of the congregation, we are blessed with six octaves of Malmark Handbells and six octaves of Malmark Choirchimes. The beauty of these instruments resounds often at FPCR in worship and special programs. Adults and children (grade 4 and above) are invited to participate in a “Lunch & Learn” series on four consecutive Sundays, Noon – 1:15PM, March 17, 24, 31 and April 7. 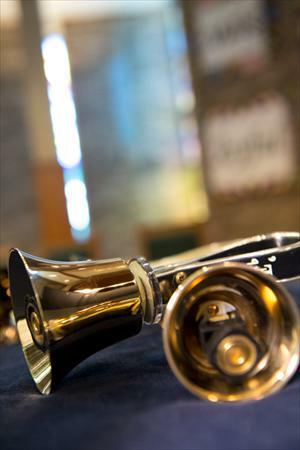 We will share food and fellowship and explore ringing with handbells and handchimes. Four-week registration cost is $10, including lunch ($25 max per family). Click here for more information and to register or contact Becky Lormor at 214-704-2593 or becky@fpcrichardson.org. The Ruth Greer Handbell Choir (RGHC) is a group of faith-filled, talented musicians who ring for worship about once a month. Rehearsals are Wednesdays 5:45 – 7:15pm (September thru May). All youth and adults with music-reading experience are invited to participate. 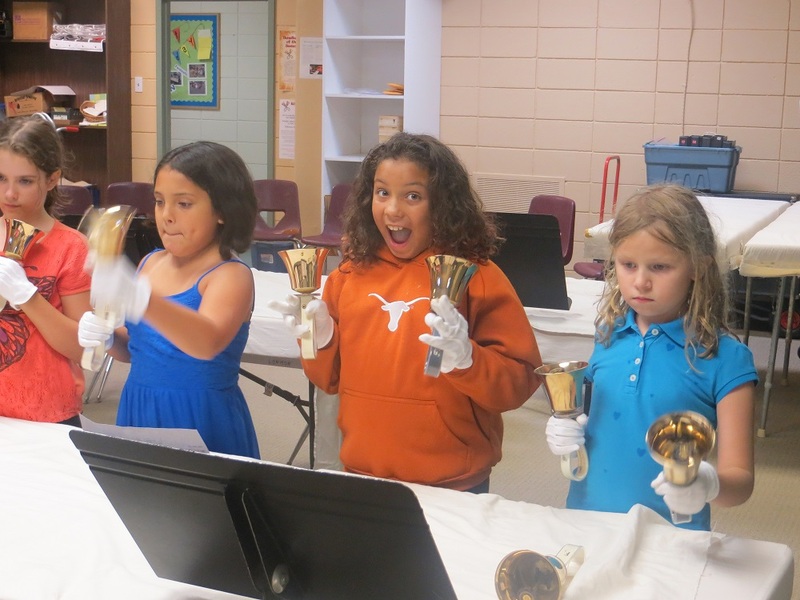 Those who want just a sampling of what it's like to ring handbells can join us for one of the short-term classes offered periodically throughout the year. 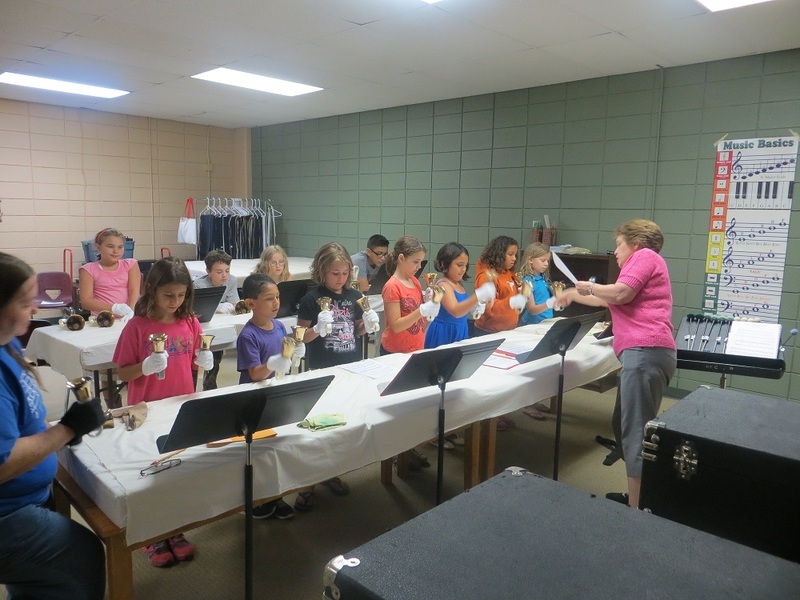 The FPC CE Building rang out with the sounds of handbells and energetic elementary children last week, as 12 students in grades three through six participated in our 2015 Summer Handbell Music Camp. For four evenings, the children gathered from 6:00 to 8:00pm to experience the joy of ringing; master “the cup game”; share moments of prayer; devour delicious suppers; and stomp all over a giant-sized musical staff and a huge digital keyboard. By the fourth evening, the young musicians had learned to ring, damp, mallet, mart, and mart-lift their way through several musical selections. (Ask a ringer to explain those terms…) And, in a fitting conclusion to their musical adventure, the campers accompanied their own voices as they sang and rang “Amazing Grace,” to the delight of several listening parents. My sincere thanks go to the nine volunteers from the Ruth Greer Handbell Choir (and a couple non-ringer spouses) who made our camp possible by preparing meals, guiding the ringers, and providing enthusiastic moral support! Be sure to check the FPC video monitors for more photos or video of the musical fun. Every organist dreams of the day when someone will say, I'd like to buy a pipe organ for our church. 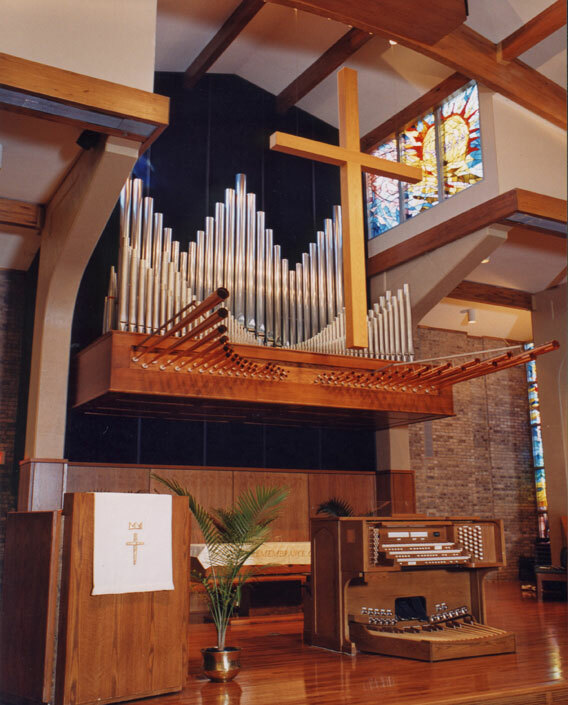 My dream came true in November, 1999 when Don and Bara Colegrove told me of their desire to give a pipe organ to First Presbyterian, Richardson. The Colegroves wanted to use money that they had inherited to give the organ in honor of their parents. After hearing of the gift, the Session quickly appointed an organ Selection Committee and they began work reading, learning and listening. 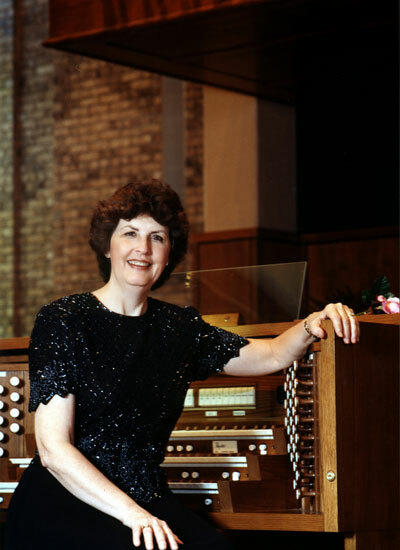 During the spring of 2000, Stan and Ginny Holcomb and Sanford Mitchell came forward with gifts that would make additional ranks possible on the organ. During July of 2000, the Organ Selection Committee made the unanimous decision to sign a contract with The Reuter Organ Company of Lawrence, Kansas and Church Organ Associates of Dallas (Allen Organ Company). Given the space limitation, the inclusion of digital voices was deemed appropriate to increase the flexibility of the instrument as well as meeting the musical needs of our diverse-music program. All of the donors were in complete support of these decisions. Sadly, Don Colegrove died on July 29, 2000 from A.L.S. (Lou Gehrig's Disease). He was, however, able to see stop lists and drawings of the proposed organ before his death. After the contract was signed for the organ, the Session appointed a committee to supervise necessary renovations on the Sanctuary. That committee came to the congregation in February asking for a campaign to raise the funds necessary to improve acoustics in the Sanctuary, enlarge the dais, add hardwood flooring to the dais, and replace worn carpet. The congregation approved such a campaign and provided immediate evidence of their support by pledging $210,000 toward the project within three weeks. On May 13, 2001, the truck from The Reuter Organ Company arrived in the church's parking lot during the 11 a.m. service and was greeted by the Organ Committee which then staged, during the final hymn, a Procession of the Pipes down the Sanctuary's middle aisle. Members of the congregation were invited to stay after worship and help unload the truck, and stay they did (even the children) carrying in pipes, wind chests, and all the other parts necessary to make the organ a reality. Roger Banks, Mark Langdon, and J. R. Neutel did the work of installing, tuning, and voicing the instrument. What an exciting and joyous adventure this entire process has been! 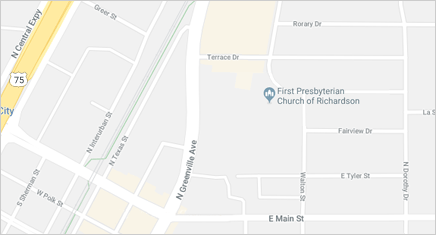 Through it all, the congregation of First Presbyterian Church has shown its love and support through prayer, the sharing of excitement, and willingness to help in many ways. They have agreed to serve on committees, help unpack pipes, clean the Sanctuary, and handle many other necessary chores. This organ will serve to enhance the worship of our Lord for generations to come. How grateful we are for the privilege of having such a glorious instrument. How grateful I am to be in this place at this time.